Wonderful pure white colour. Easy to cultivate and generally problem-free. Seeds are very fine, therefore sow thinly. Sow in a greenhouse in a seed tray at room temperature. After emergence prick out in pots and harden off. When plants are large enough transplant to final spot. Be aware of night frost. 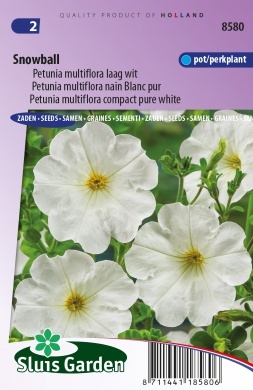 Suitable for borders, flower beds, pots and flower boxes.